What in the world is an advertorial you say? Put simply, it is an advertisement written in editorial style. According to Merriam-Webster, the word advertorial has been around since 1946, although some have thought the term to be relatively new. Advertorials are designed to be an objective news piece with pictures and content, but unlike a traditional editorial, it will usually state somewhere that it is an advertisement. The goal of the advertorial is to interest readers by providing copy that reads more like a press release. For example, a company who is introducing a new exercise bike, such as the Peloton, would place an advertorial in a health magazine, so readers can learn about the fitness and wellness benefits. Pro-Activ, advanced treatment for acne, is another firm that makes use of the advertorial. Advertorials are featured in print as well as online, whereas infomercials are found on TV and YouTube. The basic premise of both an advertorial and an infomercial are the same: to promote the features and benefits of a product or service in an expansive way, rather than focus on price. Some of the more famous infomercials include: Sham Wow, Chia Pets, Thigh Master, and Oxy Clean to name a few. Infomercials run for a number of minutes, verses an average TV commercial, because the announcer is trying to teach the audience something new. Likewise, an advertorial may take a full page in a magazine, verses purchasing a quarter page in the back of a publication. 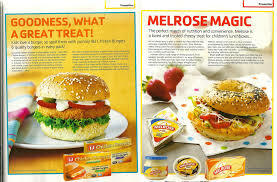 The choice for a company to do regular advertising verses and advertorial will depend on the product. If the product or good is self-explanatory, then an advertorial may not be necessary; however, if the product is one of a kind, or features something more unique than products like it, than an advertorial may be the way to go. There are some advantages to doing an advertorial, such as the publisher does not have control over the content, as it is prepared ahead of time by the company or an ad agency. In addition, the finished piece can also be used as a standalone promotional item for other purposes. According to Grey Gosling, an ad firm in the U.K., “Advertorials can offer better results than a simple, image-or slogan-led advert simply because you are more likely to engage the reader.” The disadvantages include the high cost and the fact that some people will skip over the advertorial once they see the size of it. Because of their size, advertorials are quite expensive compared to the price of an ad. Again, the company needs to count the cost, and project what kind of revenue the advertorial might generate in the long run. An ideal situation is to have someone from a magazine interview a company about their product or service. This way, there will be no cost to the company, as the promotion would be strictly an editorial, as opposed to an advertorial. In some cases, the editorial may seem like an endorsement, which is even better for the business and their product(s). Either way, advertorials have their place in the marketing world; the point is what kind of advertising is best for the business?